The moment I received the package I knew I was in for a treat! Why? It was radiating beautiful aroma encapsulated by this gorgeous packaging! I must say the packaging is one of the best I have seen in a very long time! It shows how much love and care is put into each package! After all, it is like receiving a gift for oneself! I have been using all these products for weeks now and they have impressed me beyond my expectations! The formula and ingredient list is incredibly impressive and all of them work together in harmony which only goes shows how much thought was put into the formulations! 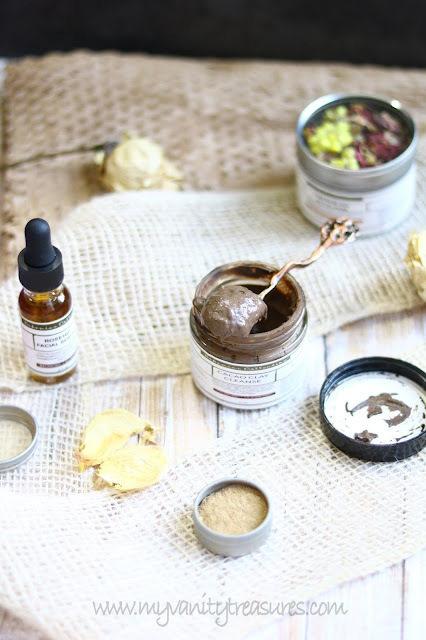 My top favorite product from this line has to be the Cacao Clay Cleanse! This is a dream for all those who love a good all natural cleanser along with this sensual aroma of chocolate! The moment I touched I was taken back to the days when I used to bake all day covered in whipped chocolate buttercream frosting as it's exactly how the cleanser feels! The texture is like a whipped chocolate mousse, dense and airy at the same time! If you have ever made or eaten a mousse you know what I am talking about! 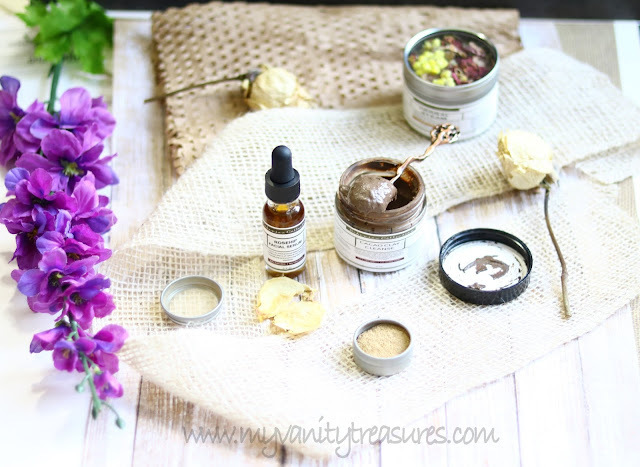 The fragrance and texture remind's me of May Lindstrom Honey Mud but just not as sweet! It can be used as a cleanser as well as a mask and I love it both the ways! I usually will apply the cleanser and keep it for 20-30 mins after which I will gently scrub in circular motions and wash away with cold tap water. The skin feels soft, smooth and radiant! No dryness at all! I am almost half way through my tub and ordering more right away coz I never would want to be without it! The only suggestion would be to list the Essential Oil Blend in the ingredient list, but I am sure you can get the list by contacting them. Facial steams are pretty new to me, the only time I have experienced them were during my facials at a spa but I really haven't tried using dried herbs and flowers at home for a facial steam until Dominique sent me one of their Herbal Steams and boy I am hooked for life! Not only they are relaxing but also help in relieving stress and improving mental health! With herbs like neem, lavender, marshmallow root, eucalyptus, rose, rosemary etc the benefits are enormous from deep pore cleansing to hydrating skin cells and maintaining good health! The herbal steams come in three blends Bohemian Forest for congestion & pain relief, Farmer's Daughter for oily/acne prone skin and Fields Of Glory for dry/mature/sensitive skin! Don't you just love the names of these! Now no need to wait for your next spa visit to enjoy the benefits of facial steam when you can do so in your home, at your convenience and at a fraction of a cost! I like to use it over the weekend or anytime when I have little more free time in my schedule. I really want to give their Bohemian Forest blend a try as I do suffer from headaches and congestion all the time! Bohemian Forest - A deliciously opening blend of herbs, botanicals, spices and essential oils for cleansing, purifying and opening nasal passages for easy breathing. Especially useful during times of headaches, cold, flu and other congestive illnesses. Farmer's Daughter - (For Oily/Acne Prone Skin) A deliciously soothing blend of botanicals and herbs useful for purifying, cleansing and hydrating skin for a healthy natural glow. Fields Of Glory - (For dry/mature skin) A deliciously soothing blend of botanicals and herbs useful for purifying, cleansing and hydrating skin for a healthy natural glow. Finally to lock all the goodness what better than a face oil which is high in antioxidants, fatty acids and vitamins! Rosehip Facial Serum is an herbaceous balancing and nutritious blend of natural oils that aid in beautifying and improving skin and its elasticity. This is a powerhouse of plant oils suitable for all skin types including oily and acne prone! The aroma is lovely and uplifting! It's one of the drier oils I have used in a long time, meaning it absorbs almost instantly in the skin leaving behind no oily residue of any kind! I have combination skin and it has never congested my pores, but if you have extremely oily skin you may need to do a patch test as sometimes rosehip oil can aggravate acne but again this happens in extreme cases. Also since the oil is very potent you only need 3-4 drops max to cover your entire face and neck. For better absorption apply the oil after a face mist, it'll help to absorb much faster in the skin. 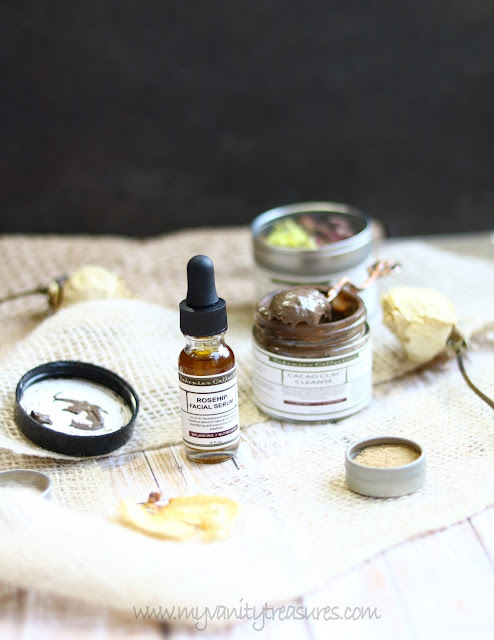 I hope this post was helpful to you guys, I honestly am so impressed with all of Bohemian Collection skincare range that I literally cannot wait for their new products coming out this fall! Apart from Bohemian Collection which is their Apothecary line, they do have an established haircare line known as NattysNaturals! I plan to do a separate blog post on this line in near future so definitely stay tuned! Dominique was also kind enough to share a discount code for all my readers which will get you 20% off their entire collection including skincare and haircare when you place an order via their website - NattysNaturals. 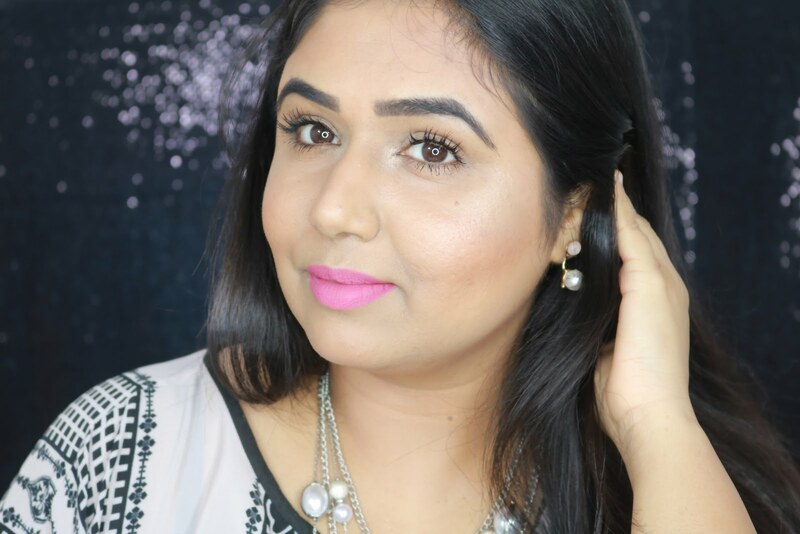 Use the code 'BEAUTYBYPARITA20' and get 20% off your entire order! And NO it's not an affiliate code, meaning I do not gain any money out of it. Also they do offer travel sizes in most of their range so don't miss this chance and get yourself some bohemian love! If that was not enough I am having a GIVEAWAY on my Instagram page where you can win my favorite product from their line which is none other than their amazing Cacao Clay Cleanse! So head on to my Instagram page for all the details on how to enter. My Instagram id is @beautybyparita. Ooh this sounds soooo lush!! You are introducing me to such great brands, dear. The Cacao Clay Cleanse sounds like my kind of product!